Meditation is an important practice, but it’s a hard practice to master. It’s even harder to get it right when we’re distracted, so it’s important to make sure that your clothing and environment won’t cause any unnecessary distractions. Everything surrounding you while you meditate should give you positive vibes that make you feel happy, comfortable, and provide visual appeal. Adding lovely décor to your meditation space will improve the quality of your practice by making you more physically comfortable. It’s much easier to stay in a seated position and maintain proper spine alignment if you are sitting on a meditation pillow. Your meditation pillow doesn’t have to be anything special, but it should provide sufficient padding to soften the strain of sitting on a hard surface for an extended period of time. A simple meditation pillow is the quickest way to improve your practice. 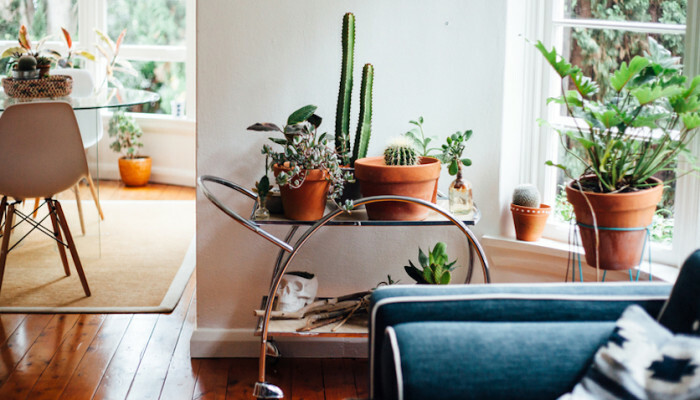 Green plants filter the air and bring new life into a room. They are a symbol of intention, caring, and nourishment which will add greatly to your meditation space. Fill this space with attractive green plants that will allow you to breathe in fresh, clean air while you sink into your meditations. Some options for air cleansing green plants include Aloe Vera, bamboo, snake plant, ficus, and peace lily. 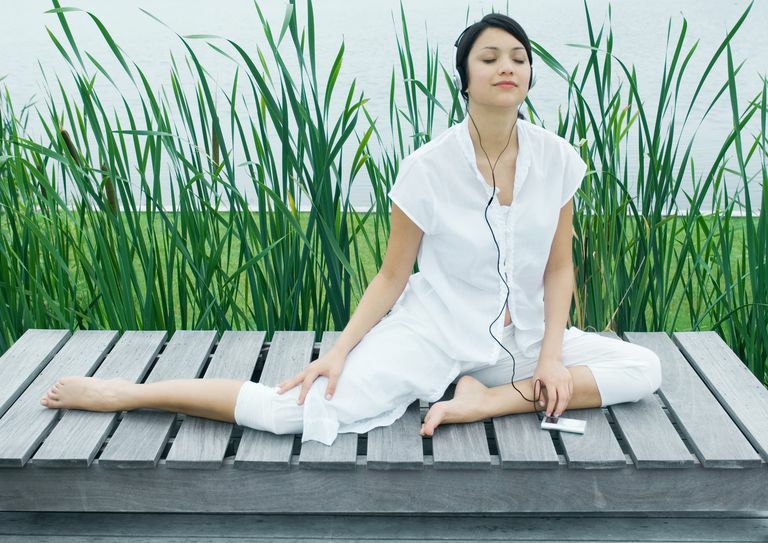 Music can be soothing and set the mood for meditation, especially for beginners who have trouble relaxing. Play calming music to help you de-stress and unwind, or try an app for guided meditation, especially if you are new to meditating. If you choose music over guided meditation, make sure it’s something without words to help ease distractions. Candles are gentle on the eyes and the open flame usually creates a sense of calm. 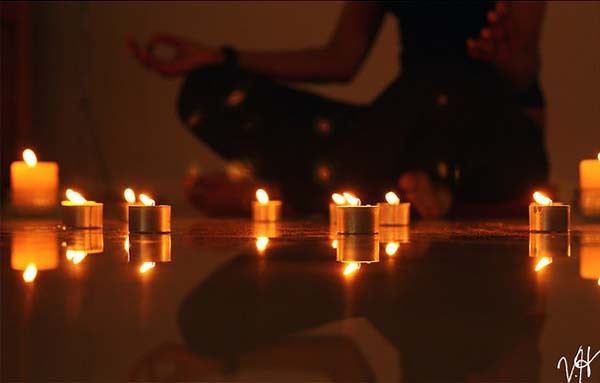 Choose candles in a gentle scent and allow the warm glow to help you ease into a proper meditative state. Some people also find that focusing on the gentle flame allows them to clear their minds and sink in meditation. This is the number one comfy must-have for meditation. Comfortable womens gym clothes are essential to helping you relax and practice meditation distraction-free. Being uncomfortable makes meditation impossible so you don’t want a tight waist, itchy tags, or any other distracting or uncomfortable clothing that prevents you from focusing and relaxing. Eliminate any potential distractions by wearing loose-fitting, comfortable clothes that fall away from the body. Now that you’ve created a distraction-free meditation space, keep in mind that meditation is still a difficult practice. It takes time and patience so start slow, and increase the time of your practice as you grow and become more comfortable sitting in meditation. Have you been in the market for a new yoga mat recently? If you have, you may have been overwhelmed at the sheer selection available, even from major retailers that don’t specialize in yoga gear. Where there was once just a rainbow of colors to choose from, there are now patterns and designs aplenty to satisfy any design preference. While you may be quickly overwhelmed by the abundance of yoga mats, does the design of your mat really matter to your practice? There’s an entire field of psychology dedicated to color theory. The way that a particular shade makes you feel when you see it is a subconscious reaction. For example, blue and green usually have the capacity to make you feel more relaxed. Meanwhile, yellow can make you feel more alert and give you additional energy. You may want to consider what type of color could enhance your mood. Do you need help slowing down and paying attention to the breath? If anxiety frequently overwhelms you during your practice, a cooler color may be an ideal choice for you. If you seem to be lacking the necessary energy to pull yourself through a vigorous yoga routine, a brighter color may inspire you to push yourself harder through one more vinyasa. You may find yourself moving into each asana with renewed energy when surrounded by bright and warm colors. Do you ever feel like you need a visual reminder to maintain your intentions? Sometimes having a picture of something that allows you to ground yourself in practice is helpful. Many yoga mat manufacturers try to select images and patterns that resonate with the yogis who use them. Yogis who struggle to stay grounded in their practice may love the imagery of a tree beneath them. Similarly, a wandering mind may be better anchored by an ohm symbol or experience more peace with a lotus flower nearby. A swirling pattern of dots and lines could help you to focus your drishti on one set spot as you untangle their complicated weave. Is there such a thing as too much color and pattern on your yoga mat? Small amounts of well-placed color psychology and imagery can guide yogis deeper into their practice. However, loud bursts of color and heavy patterning could actually be a distraction from the asana in your practice. If you choose to use a mat with a color or design to deepen your yoga practice, be careful that it doesn’t become a dangerous distraction. These mats certainly have plenty of benefits when used properly in a regular yoga practice. While there are some who feel that incorporating music into yoga can be detrimental, certain yoga teachers have taken careful consideration to this. They have come up with powerful playlists to enhance their classes. Why take all the trouble of doing this? Here are 6 key benefits that you can get by incorporating music into your yoga class. In the world we live in today, there is so much stress in the environments that we work in. It is therefore not uncommon to feel exhausted after a day’s work. One of the best ways to deal with such stress is to go to a yoga class that incorporates music into the movements. Pleasant soft music can aid in calming your emotions and relaxing your mental faculties. There are numerous studies that have conclude that music has a healing effect. People have recovered much more quickly after surgery just by listening to music. Are you ailing emotionally? Have you lost a loved one and you just can’t seem to manage your sorrow? Then listening to music during a yoga meditation exercise can be a wonderful way to heal. This not only heals your mental wounds but also physical ones. Your brain has the power to restore health to your physical body. That is why listening to positive music has the seemingly magic power to restore health to affected body tissues. There is a difference between concentration and meditation. Concentration entails focusing your mind towards achieving one goal. With music, it easy to block out other external dictations such noisy neighborhoods or honking vehicles. 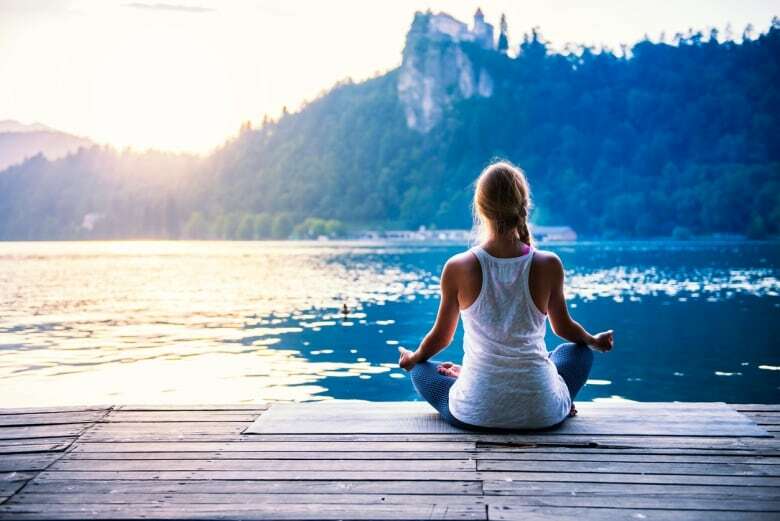 Since yoga offers a terrific opportunity to meditate, even on other aspects of your life, music can help you concentrate on building positive thoughts while practicing yoga. Another key benefit of music is improving memory. By clearing stressful thoughts, it is possible to have a higher capacity to recall. That is why people say that when they hear a certain song, they remember certain things that happened then. In Vinyasa yoga, the poses and the movements are much faster and intricately connected. Without some sort of directional instructions, one can be left behind as other move along. That is why some tutors aid their students by calling out the movements or breathing motions. Instead of this, music is a much better aid in making such movement more natural. As long as there are no distracting lyrics, the music can be of great benefit. Try it and see the difference. The reason why some yogis are careful in choosing their playlists is the effect they desire to draw from it. With the right that inspires, it is possible to improve one’s resolve in life. This is especially possible when inspirational words are consumed during a meditation session. For someone who has lost hope in life or one who is feeling distraught, music is key. A few sessions of listening to inspirational music can leave one feeling great and motivated. With the right choice of music in yoga, it is possible to change one’s state of mind.